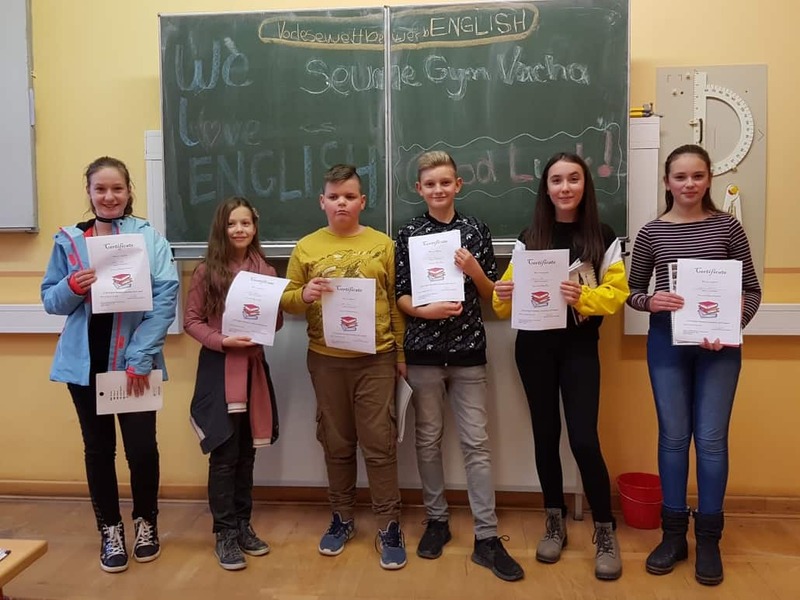 (Vacha/JGS) There is not only a reading competition for pupils of class 6 in German – it also takes place in English. Some pupils in each class have much fun in reading. They competed and the two best of each class were sent to the school’s competition. It took place on Tuesday, 27th November, 2018 in the afternoon after school. Each pupil began by reading a text they had chosen on their own. Then they only had a few minutes to get prepared for the unknown one. and Loris Vogel (6a), Jasmina Czerny (6b), Romy Schreiber (6c). Congratulation to all of you, continue reading and enjoy the little prizes!